In the early 1990s, more than 1.6 million Jews from the former Soviet Union emigrated to Israel, the United States, Canada, Germany, and other Western countries. 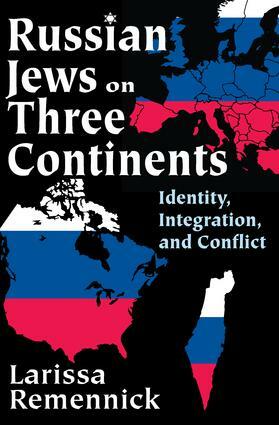 Larissa Remennick relates the saga of their encounter with the economic marketplaces, lifestyles, and everyday cultures of their new homelands, drawing on comparative sociological research among Russian-Jewish immigrants.Although citizens of Jewish origin ostensibly left the former Soviet Union to flee persecution and join their co-religionists, Israeli, North American, and German Jews were universally disappointed by the new arrivals' tenuous Jewish identity. In turn, Russian Jews, whose identity had been shaped by seventy years of secular education and assimilation into the Soviet mainstream, hoped to be accepted as ambitious and hard working individuals seeking better lives. These divergent expectations shaped lines of conflict between Russian-speaking Jews and the Jewish communities of the receiving countries.Since her own immigration to Israel from Moscow in 1991, Remennick has been both a participant and an observer of this saga. This is the first attempt to compare resettlement and integration experiences of a single ethnic community (former Soviet Jews) in various global destinations. It also analyzes their emerging transnational lifestyles. Written from an interdisciplinary perspective, this book opens new perspectives for a diverse readership, including sociologists, anthropologists, political scientists, historians, Slavic scholars, and Jewish studies specialists. Newcomers in the Promised Land: Integration or Separatism?